Do you know the best resume layout optimized for HUMANS and COMPUTERS (ATS)? Wonder why it’s so important to make an immediate impression using the top center of your resume? 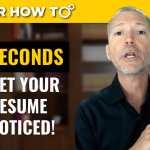 Join career expert and award-winning author Andrew LaCivita for his video on Resume Tips 2018 and 3 Steps to a Perfect Resume! Join me for this video to learn 3 simple and modern resume tips to ensure your resume shines in 2018 and beyond! 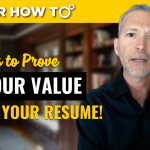 These tips will help you develop the proper resume format–my same format proven to get you job interviews! I absolutely agree with this video, very spot on. Especially the ATS tips (no tables, etc.). I wanted to point out that there are now online resume tools that automate some — if not all — of the tedious work of tailoring your resume to the job posting. 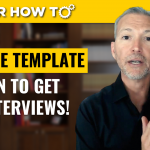 It is because this process of extracting the relevant keywords and integrating them to my resume was so hand-wringing, I decided to partner with the actual company that employers use to weed out resumes and create an online resume tool myself. This tool is now a reality. 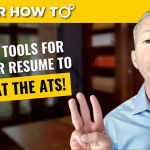 It uses the same Applicant Tracking System (ATS) technology and ongoing AI to extract, recommend and merge right into my resume these keywords. It’s awesome. Try it – it’s https://targetmyresume.com.